Time flies so fast! Gigi Leung’s (梁詠琪) adorable daughter Sofia is already three years old, and turning four in February. 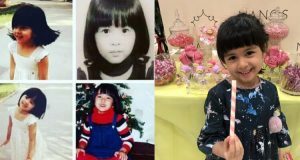 Like her parents, Sofia is tall and beautiful, with large round eyes and luscious black hair. 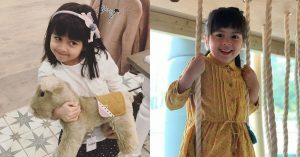 Sofia is a model for children’s clothing brand, and Gigi herself often does the photography herself. 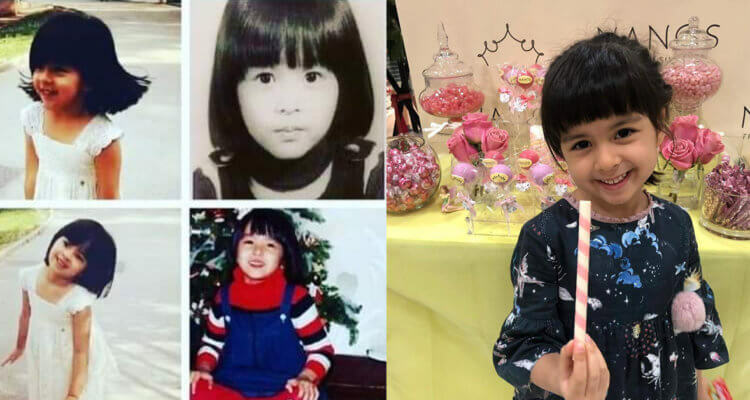 With Sofia’s straight and thick fringe, many fans pointed out that Sofia extremely resembles Gigi when she was younger, who also donned a “mushroom cut” when she was a child. 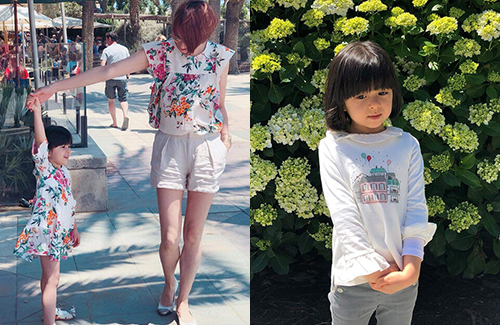 Check out the adorable comparisons below! Sofia is adorable.. Most mixed nationality children are very beautiful. Hope GiGi teaches her to speak Cantonese or Mandarin and keep her culture. Its sad that many Asian women marry Europeans/Americans and totally forget that they are Asian to begin with.